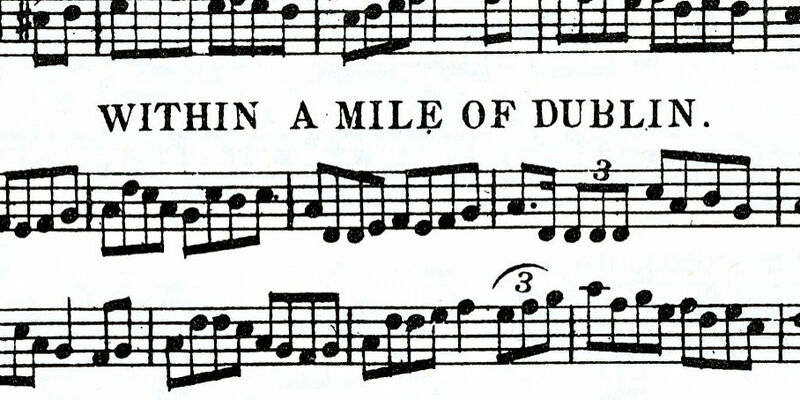 The first broadcast of the Within a Mile of Dublin 2 series focuses on the Goodman Collection, bringing together conversation, song, and music to show how the work of a 19th-century collector continues to shape the practices of musicians in the 21st century. James Goodman (1828–1896), a native of Dingle, Co. Kerry, was a Canon of the Church of Ireland and Professor of Irish in Trinity College Dublin. He is now chieﬂy known as the compiler of an outstanding manuscript collection of more than 2,300 tunes held in the Library of the College. The tunes were partly “taken down by myself as I heard them played by Irish pipers &c.” and partly drawn by him from manuscript and printed sources. Goodman grew up in an Irish-speaking environment, sang and danced, is said to have played the ﬂute, and later became an accomplished player of the Irish, or uilleann, pipes. His music collection was completed in the 1860s when he was ministering in Ardgroom in West Cork. The material in this manuscript collection provides musicians and scholars, of the present day, with a unique body of Irish music from the south-west region, and gives unrivalled insights into the traditional music and song of Irish-speaking pre-Famine Ireland.